Ana is temporarily not taking new customers. 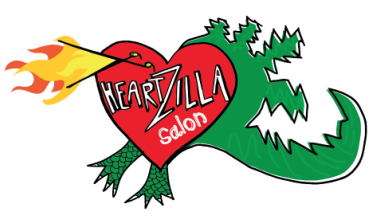 If you have questions, please send her an email to heartzillasalon@gmail.com. Ana was born and raised in Terrassa, a city 15 miles away from Barcelona, Spain. Ana completed her cosmetology education and earned her license at age twenty. She then began her official career as a young starlet stylist at a fancy pants downtown Terrassa salon by the name of Formes. The stylists at Formes were extremely professional, and it was there that Ana developed a real vision for the art (in addition to the skill) of what it means to give a beautiful, custom-made haircut, with an emphasis on perfectionism and quality. Ana received top of the line training with employees trained at Vidal Sassoon and Tony & Guy, along with a few other notable hair dynasties. She moved on to Natural Styles ~~ another bigger downtown Terrassa salon with a more relaxed ambiance. And there Ana stayed for eleven years, working with amazing professionals, receiving frequent trainings in cut and color. She had the opportunity, there, to participate in hair shows that were produced by the best hair product manufacturers in the world, creating magic on stage in real time. During those years working at Natural Styles, Ana continued to take styling workshops at various headquarters in Barcelona: Wella, Schwartzkopf, Rene Furterer, and L'Oreal, to name a few, until she left Spain to move to San Francisco at the end of 2003. She have been a licensed hair stylist working behind the chair for over 20 years. Within twenty days of her U.S. arrival, Ana was working as a hair stylist at a Mission District salon, where she stayed for six years. She built a devoted clientele there, and learned to speak fluent English. She also continued to pursue her gift as a visual artist, taking classes in art history, drawing (figure, museum and otherwise) and the mono-print. 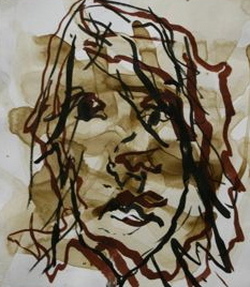 She has participated in several group art exhibitions, Open Studios, and solo shows. For Ana, it is important that each hair style that she does is custom designed (with love) to the desires and idiosyncrasies of the client. She collaborates with every client to create a look that allows each person to feel uniquely themselves ... their inside worlds expressed outwardly, with freshness and finesse.